Ready to jump over Snake River Canyon?!? 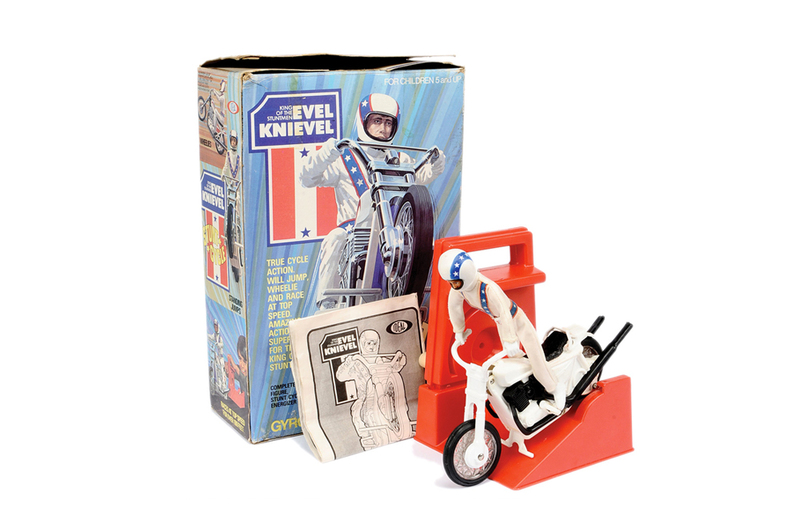 The Evel Knievel wind-up motorcycle is being rebooted. When grey became green… how a faulty printer changed the Incredible Hulk. An intrepid Trekkie created a “Real” Tricorder out of an iPhone 4. The Muppets are returning to ABC in prime time. Here are 20 facts you need to know. Creepy talking doll alert, courtesy of Thomas Edison. Required viewing: the 16-minute documentary ‘The Secret History Of The Cabbage Patch Kids’ from VICE. A Kickstarter has been launched for three new Archie comic books. Here’s what really happened to Carol Brady’s first husband. Episodes of the original 1940s Superman cartoon are available online and 7 other things we wanted to share this week.